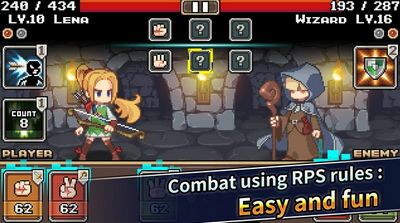 Get ready for an RPG card battler that is easy to pick up and quite a lot of fun. 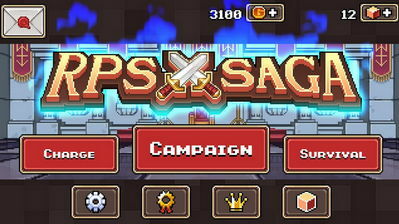 RPS Saga is a brand new release by Magic Cube, that uses rock-paper-scissors rules to make the card battling element easy enough for everyone to enjoy the game. There are RPG mechanics to the game as well, that let players level up and equip their heros with items and skills. This is version 1.0 which is the first release, have fun! If you like the game buy it, it's only 1 dollar.